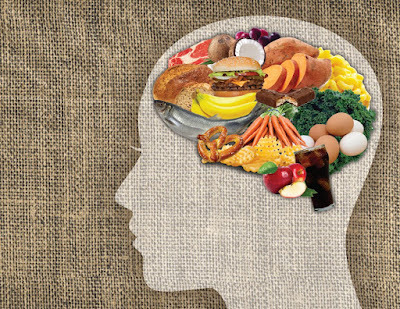 The best brain foods for you depends on what you want to accomplish. Different aspects of healthy brain function include memory, mental endurance, mood, creativity and focus. The best brain foods contain antioxidants, vitamins and minerals that stimulate the brain, play an essential role in vital brain functions and protect the brain from deterioration that occurs as a result of free radicals that wear down the brain over the years. Blueberries are the best food for memory, with ample amounts of quercetin. Other foods high in quercetin include onions, cherry tomatoes, broccoli and apricots. Also, cabbage, cauliflower, spinach, greens, other berries, cherries, eggplant, plums, onions apples and beets all help boost memory. Two recent studies have found new memory boosting foods. Tufts University in Boston found that folic acid raise memory over time and Rush University Medical Center in Chicago found that fish stops memory decline. Eat your apricots in order to fight mental fatigue as well. Mental exhaustion is the fog and slower mental processing that results from wearing your brain out throughout the day through mentally challenging tasks. Other mental endurance building foods include carrots, dates, basil, mint and stevia. Much of mood has to do with crashes that come from excessive sugar intake. This sugar intake can be reduced by consuming fewer foods that are high in sugar and eating fiber and protein, which both absorb sugar. Omega-3 fatty acids, mostly found in oily fish and flaxseed, help to fight depression. Folate and vitamin B12 might be used in the creation of serotonin. Folate is found in oatmeal, soybeans, beets, broccoli, sunflower seeds and oranges. B12 is found in fish, beef, dairy and eggs. Creativity requires a lot of processing, which requires carbohydrate-rich foods in order to fuel. Omega 3, which helps in improving mood, also help the brain build new pathways for new information. Also, creative ability declines as free radicals harm the brain. But free radicals can be countered by antioxidants found in vitamin C and vitamin E-rich foods. Vitamin C foods can be found in citrus fruits and both vitamins can be found in sunflower seeds, broccoli and spinach. Focus involves removing distractions, keeping cognition healthy and keeping your mental energy up. Vitamins B, C, E and magnesium help to boost focus. Tuna, artichokes, bananas, figs, barley, oats, brown rice, wheat, almonds, cashews, beans and potatoes all have good amounts of magnesium.